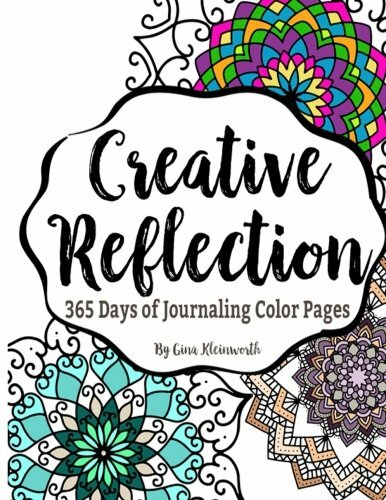 365 Days of unique coloring pages &amp; journaling prompts plus yearly &amp; monthly goal sheets &amp; 14 free color pages. That's nearly 400 total coloring pages! This book is a way to journal your days &amp; reach your inner artist while coloring these intricate mandalas. The dates are left blank so that you can write &amp; color as little or often as your days allow without pressure to keep to the calendar or schedule. It&#x2019;s about the journey &amp; cherishing the moments through it. Gina Kleinworth is the artistic mind behind the creative lifestyle site, Kleinworth &amp; Co. where she shares her passion for food, DIY &amp; all types of design.